Take a walk on Santo Domingo’s fine sand beaches and swim in the pristine waters of its tropical shores. Enjoy a calm and peaceful day in Guayacanes Beach, not far from Santo Domingo, Dominican Republic. 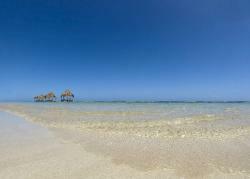 Visit the popular Boca Chica Beach just 30 km away from Santo Domingo in the South of the Dominican Republic.